Judy Sheindlin now has one of the largest running shows in television history and for good reason -- very few can pull a fast one on her. 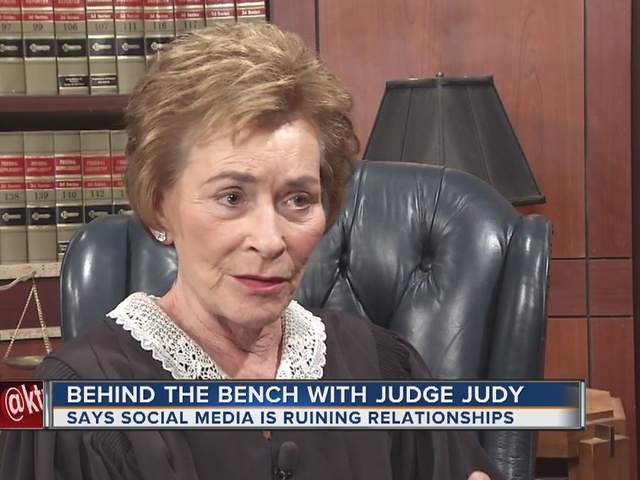 With her gut-wrenching stare, Judge Judy Sheindlin lays down the law on another case. "I didn't ask you to say anything," Judy is heard saying to a stoned face litigant. Those quick witted remarks are what has captivated millions for 21 seasons. "Everything that comes out of her mouth surprises me," said Byrd the Baliff, one of her closest friends. Judy now has one of the largest running shows in television history and for good reason -- very few can pull a fast one on her. "If you step in front of a bus, you know you're going to get hit," Judy said. 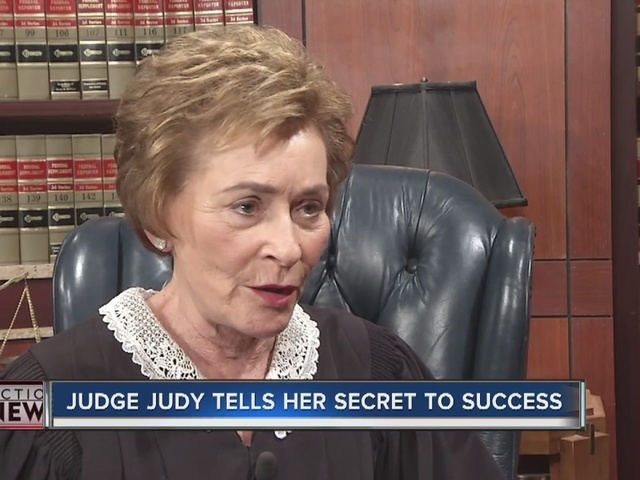 13 Action News got the chance to sit down with Judge Judy. 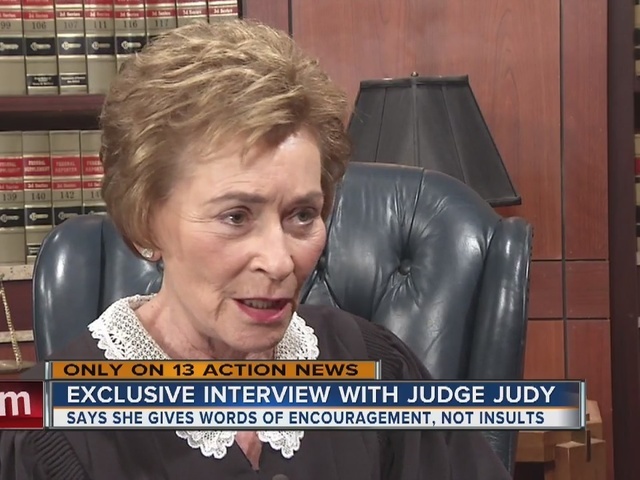 The 30-year judge talked about her insults and why she considers them words of encouragement. "The message is one that resonates the responsibility. You know you have to be a good person, good citizen, you make children you have to be able to take care of them," Judy said. Judy goes on to say her courtroom is about teaching others to be accountable and do the right thing. After all, these are real-life lawsuits. Researchers are sent across the country spending days in small claims court to find her next case. Judy has spent more than 30 years behind the bench, but it wasn't an easy start. At one point, she thought of becoming a stay-at-home mom. "You don't look at a gender. I was a lawyer, I wasn't a female lawyer. I was a judge, I was never a female judge. I never actually personally felt that being a woman inhibited me in any way," Judy said. Despite saying it was never about "breaking the glass ceiling," she does have this message for young ladies. "You may as a woman have to work a little harder to be a little smarter, so work a little harder and be a little smarter," Judy said. She also has this message for people addicted to social media. "We've lost something with social media I think we lost something because most people are connected to those machines. I think eventually man will only have two large thumbs because that's all they're going to need to text," Judy said. Judy has millions of followers on social media, but you won't catch her scrolling her timeline. She said she prefers to have face-to-face conversations. "When you go to a restaurant you see two people that should be conversing over dinner and both of them are sitting with their equipment and not conversing with someone else. I don't understand that," Judy said. And Judy's secret to success is simple. "I think some people learn, but fortunately for the program, because we still have to continue to have cases, a lot of people don't learn," Judy laughs.